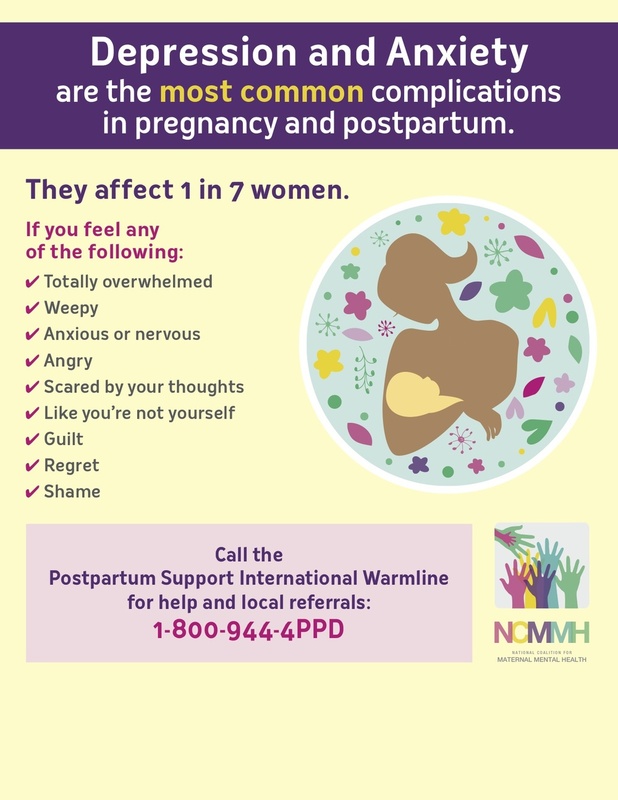 If you are a mother, have a mother, or love a mother, help raise awareness and eliminate stigma by hanging posters in your community! 1. CHOOSE - Choose a poster from below. 2. PRINT - Click the image to open and print. Posters can be printed on standard 8 1/2 x 11 paper. Don't have a color print? Consider uploading to a site like this. 3. FIND A SPOT - Choose a spot in your community; a daycare, library, grocery store, OB office, Pediatrician office, basically anywhere you think a mom is sure to see it. 4. HANG - Grab some friends and hang your posters! 5. GRAB YOUR CAMERA - Take a picture and post to our social media sites and your's!